David Ciccarelli from Voices.com sent along to me a summary of his company’s past year in business, including how many voice over jobs were awarded, average payments, highest payments and total voice over earnings for voice talent who secured business all through Voices.com. A couple of disclaimers here: I consider David and his wife Stephanie to be my friends and that both are highly ethical in their company’s operations. I trust what they say to be true and I think they run an above board operation. I have said in the past that if I subscribed to any pay to play (P2P) service, I would immediately subscribe to Voices.com based on their credibility alone. I respect the owners and their company. I am not a paying member of Voices.com. I do have a free profile page. There is another service in the P2P industry where I had a free listing but I had it removed because I believed that group’s credibility to be so suspect that I didn’t want my name or brand associated with them in any manner. 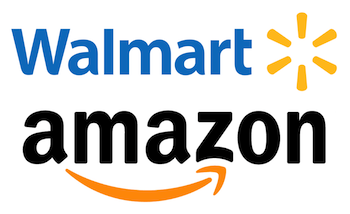 And there are other companies in this category whose reputation also precedes them and also not in a good way. In short, the “pay to play” voice over business model does not work for me. I don’t believe or financially support any service in which voice talent “pays to play” i.e. pays a subscription to receive auditions. I believe such services lower the rate expectations of potential clients because so many voice talents who swim in the pay to play pool low ball their rates out of what I feel is a kind of sad desperation for revenue of any kind. 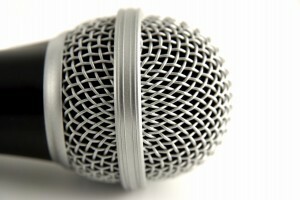 The pay to play model negatively impacts the voice over business and its practitioners, in my opinion. While each individual has the right to run their business has they see fit (even or especially in desperate times), that low balling adversely affects my business and is degrading to my industry. I choose to play elsewhere. â€¢	155,915 Voice Over Jobs – This figure represents the total number of public, private and direct message job opportunities that have been awarded to voice talent at Voices.com. â€¢	$252.97 Average Payment for a Voice Over Job (among all possible VO job categories): David noted that projects posted at Voices.com range between $100 and $500, thus resulting in average payments of $252.97. This last figure illustrates my point better than anything else I might say regarding how ALL pay to play services lower the rate expectations of potential clients. I also have a sense that at other services, that average fee might even be lower. Taking the Voices.com figure ($252.97) though, as a P2P industry average – that figure, I believe, doesn’t reflect what the voice over customer market “dictates”. I believe it reflects what the voice over customer market “can get away with” with the help of the pay to play (P2P) business model. 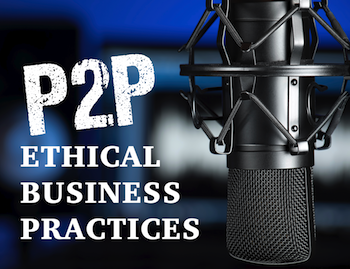 There is no filter of voice over quality or talent abilities within the P2P model – legally I don’t think there can be and as a business model I don’t know why the P2P owners would want there to be. Anyone can sign up, pay the subscription fee and audition with P2P companies. It’s assumed that if someone has no talent, that fact will be reflected in their audition submissions and therefore the talentless won’t get the work (survival of the fittest). But the nasty truth is, regardless of any supposed audition filter or cut off limit a P2P service may ascribe to, the sheer volume of auditions combined with lower average quality of the combined auditioners (note: they ARE talented and highly compensated voice talents in the P2P mixâ€¦somewhereâ€¦I guess) means that all the power is in the client’s handsâ€¦they can smell the desperation in the auditioning herd and they capitalize on it…to the determent of the voice over industry as a whole. Think about not just the local or regional radio commercialsâ€¦but the 10-20 minute narrations, e-learning projects, sales and marketing videos. These long form pieces are a vital part of the industry. Take a minute to do some average calculations on what those fees should be in addition to the local and regional spots. Then add national commercials, TV promos, radio imaging fees, bigger message on hold projects. By my calculations, $252.97 is well below what I would expect an overall average fee to be. And for those who would say that’s on par with “my” fee structure or that “I’d” be lucky to get that for a fee, I guess I’d ask you to take a long hard look at your business model. And even dare to say â€“ self worth as a voice over talent. And for those who’d say it’s none of my damn business â€“ I’d say on that count, you’re probably right. We all have to choose our own paths and mine may not be right for you. Mahmoud Taji pinged me to say he’s got a new voice over directory started (this seems to be a trend) called the The Voiceover Pavilion. It’s a pay-to-play directory (you won’t be sent leads ala V123 but you pay to have a listing). He also advised he’s going to be spending some of these proceeds on advertising to end users who do the hiring. voice 123 is now 3, 2, 1, gone! My business resolution in 2009 was/is actually only one word: execute. Too often in a business day, I’ll get started in six different directions and lucky if I find the finish line on two of those starts. Same thing the next day to the point where (if you follow the math) lots of stuff didn’t get done. But like every business person, I’m always studying my business’ trends, activity in the industry etc. While doing that, a thought occurred to meâ€¦should I keep my listings on the pay to play (P2P) voice over web sites? 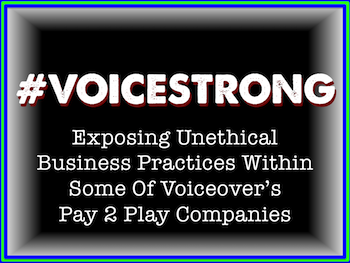 I do not have a paid listing on the pay to play web sites like Voice 123 because I think these sites qualitatively, quantitatively and financially devalue the voiceover profession. I could rant forever on that but will spare you unless you ask in the comments. I did keep a free page for SEO/SEM considerations. But the thought had occurred to me on more than one occasion: am I hurting my brand through even a free association with such sites? Further, by being listed even in a free listing, am I offering an implied endorsement of these types of sites? Today I got my answer. I highly doubt that this person was referring to me in the quote but after reading it I did not doubt that one could see my participation on a P2P site as an endorsement. It was time to execute (I love when the signs are crystal clear). Voice 123 was very helpful in their (possibly third-world based) on-line chat room with the deletion of my account. In fact, in my history of dealings with the company, this may have been their most impressive display of customer service. For that only, I thank them.